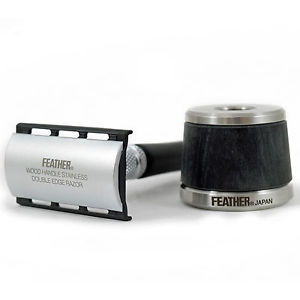 Feather WS-D1S Safety razor at Edwards. Is the highest end razor from Feather, also It comes with a stand of the same material. 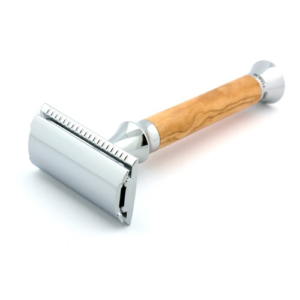 Master crafted out of stainless steel these 110 mm razors are also part wood. 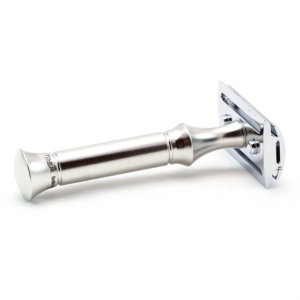 Viewed as a non aggressive razor the WS-D1S will carefully shave any hairs on your face. Unlike harsher razors this Is an everyday razor to keep a clean shaven face. This most excellent razor takes double edged blades and comes with a pack of 5 Feather blades. Noted as the sharpest available to man, forged In Seiko Japan which was the helm of blade making during the ancient Samurai era. This excellent traditional shaving razor weighs 70 g which Is a nice weight for It’s size. Also the wood on the razor that makes up the body of the stand and the safety razor Is laminated In this process the wood Is soaked 5 times In resin,creating a water proof seal.The stand matches the razor In every way, and both are branded with the Feather logo. Engineered to perfection this Is a razor for life. Also easily cleaned and blades replaced, with the screw cap 3 piece head and body. Traditional shaving with razors of this quality will be a real Joy. 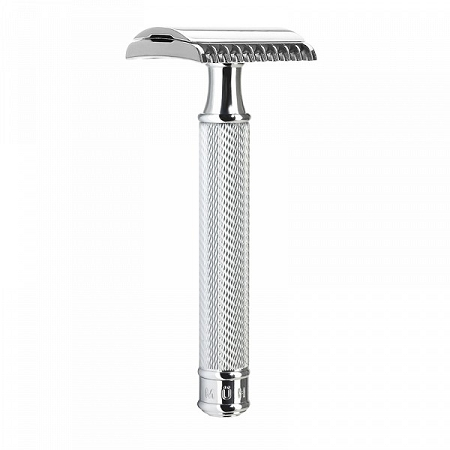 This really is a great safety razor which you will keep for ever. There are also environmental benefits to using safety razors. The blades are steel which is considerably easier to recycle than cartridges. We are on the cusp of a big over hall of plastics, and there is a great opportunity to do the right thing with shaving with a razor. 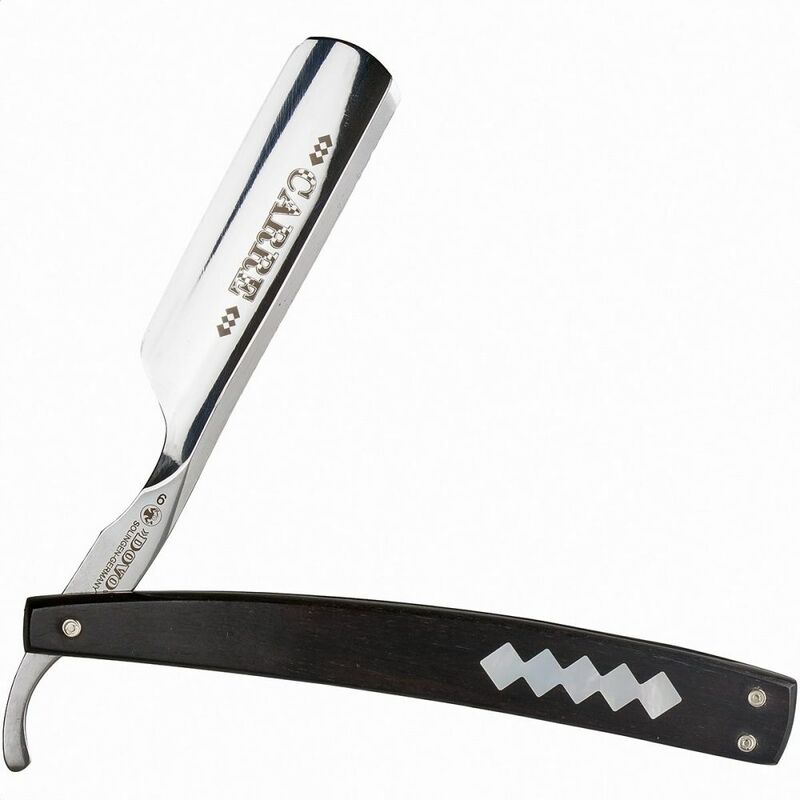 Edwards will deliver this fine razor to you for free within the UK. Internationally at a very reasonable rate. Please contact us If you have any questions not covered by the product description. Feather WS-D1S Safety razor, regards The Edwards Team.